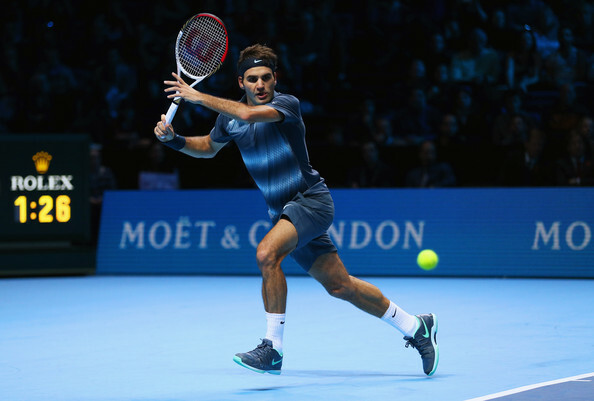 Twice within a matter of days, Roger Federer was edged out by Novak Djokovic in three sets. 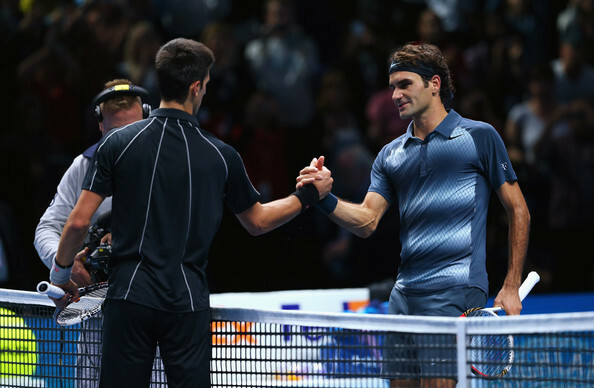 The two faced off in the semifinals of the Paris masters on Saturday, and again in their opening match of the 2013 World Tour Finals round robin. This time, Djokovic struck first, capitalizing on a forehand which missed by millimeters from Federer, breaking to take a one set lead. The second set stayed even, then tossed a few breaks both ways, with the Swiss maestro finally taking a 5-4 lead. However, after a long game, he was again broken, and the two carried on into a tiebreak. Federer stormed ahead, taking the tiebreak 7-6 (2), but uncharacteristically dropped serve at love to open the third set. His resistance would not be enough, as the Serbian’s defense and extended rallies lifted him to victory. After 2 hours 22 minutes, Djokovic capped Tuesday night at the O2 Arena, 6-4 6-7 (2) 6-2.